Running? No problem. You just lace up your running shoes and head out the door. Biking? Sure. Throw your leg over the saddle and start turning the cranks. Paddling? Um… Well… It’s a bit harder to practice paddling, and that float trip involving a case of beer and a bottle of whiskey back in college doesn’t count. Paddling is one of the three main disciplines of any adventure race, and it’s important to be prepared. So what should you do? Before you do anything, you need to find out what kind of paddling is involved in your upcoming adventure race. Will you be paddling on flat water? A mild river? Class III rapids? Ocean? You also need to know what kind of boat you’ll be using. A canoe? Kayak? Rowboat? Inflatable pack-raft? Although I haven’t seen it in a race yet, perhaps some Stand Up Paddling (SUP)? Knowing what to expect makes a huge difference. The more closely you simulate what will happen at the race, the better prepared you’ll be. Next, you’ll need a boat. 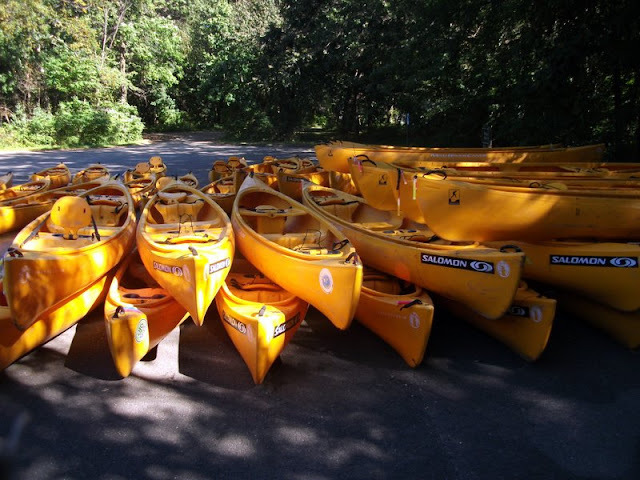 A canoe or a kayak is the most common type of boat used at most races, but these aren’t exactly cheap. You don’t have to actually buy a boat, though. You can rent boats or, better yet, you could borrow one from a friend or fellow adventure racer. Once you have your boat, you’re going to need somewhere to paddle. Most people can’t just head out the door and start paddling – unless you’re lucky enough to live right next to a river, lake, or ocean. If possible, get your teammates out there with you. Paddling involves a lot of teamwork and communication. Working together is crucial to a good paddling leg of any race. Paddle out of sync and you waste a lot of energy zigzagging all over the place. And then there are lots of questions to answer. Who will sit in the back and steer? How will the person in the front call out obstacles? How will you stay fed and hydrated in the boat? How do we secure out packs and gear? These questions are better answered while practicing than in the middle of an adventure race. If no one on your team has any experience paddling, find someone who does. Ask them to help you out and show you some pointers. You want to practice the right way to do things, so you’ll want to at least have an idea of what to practice. Can’t find someone to help you out? You could go to an adventure racing camp, as I mentioned in a previous post, where you’ll get top-notch instruction from experts and hands-on experience. It’s money well-spent. There are online resources that can be very helpful. 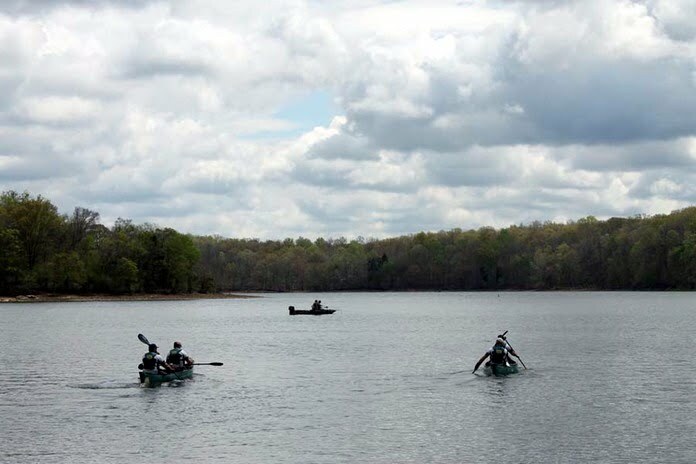 Here is a good site for canoeing and another one for kayaking, although nothing compares to hands-on experience. One other thing I’d recommend is getting stronger. I’ve heard many people say how tired their shoulders, arms and back become when they start paddling. They can run or ride for days, but 30 minutes of paddling leaves them whimpering and exhausted. Lift weights, do pushups and pull ups, and really focus on your core. A strong core will not only help your paddling stroke, but it will help you avoid low back pain after sitting in a boat for hours. And one last thing. Please wear a Personal Floatation Device (PFD), not to be confused with a Portable Document Format (PFD). Accidents happen, and it’s just not worth it. It really could save your life. A lot of time can be gained or lost on the paddling sections. In fact, races can be won or lost while paddling. Plus it’s no fun if you just flounder around out there in the boat. You’ll have way more fun if you’re prepared. So why would you neglect such an important (and fun) part of adventure racing? Don’t make this mistake. Get out there and paddle!